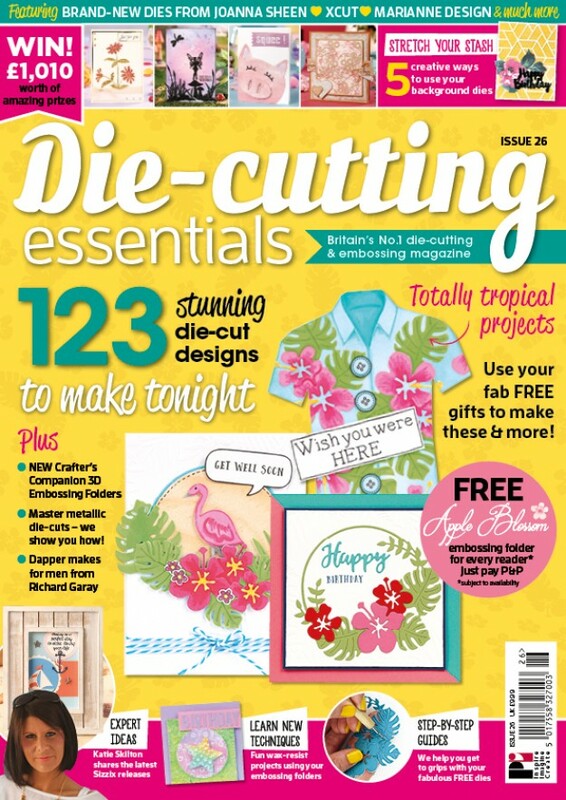 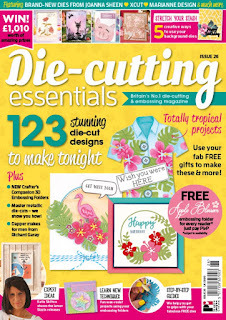 Die-Cutting Essentials Issue 25 - went on sale Thursday, 30th June 2017 and have a lovely die and stamp set Cover gift called Happy Days die and the stamp set is just what you need to kick-start you summer crafting!. 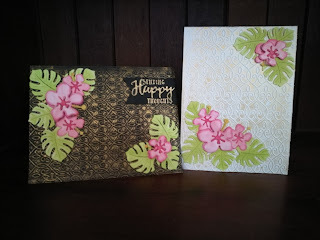 For these cards I embossed my card base with the embossing folder from the Papercraft Essentials Issue 148 - Sunflower Dreams cover gift and then used gilding wax to emphasise the pattern. 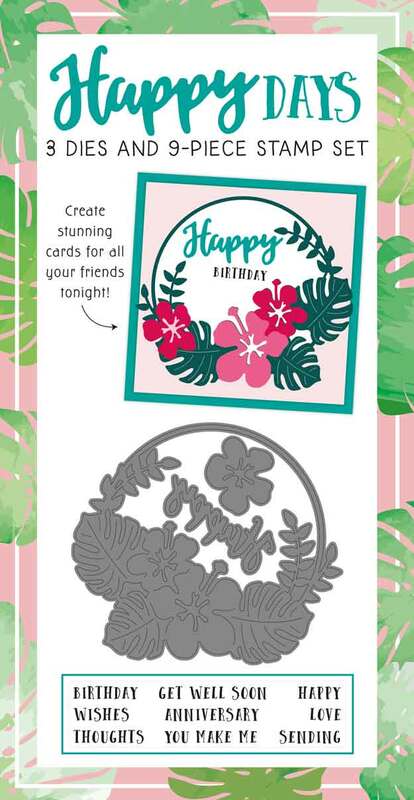 I die cut the flower and leaves from white card and coloured them using my Spectrum Noir Pens. I could not decide which base card I like best to make one in black and one in white using the same layout but rotating it so you have one vertical and one horizontal layout. 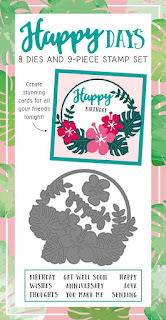 I decided not to add a sentiment to the white card at this stage.